Old US 60 Salt Creek, Osage Co. 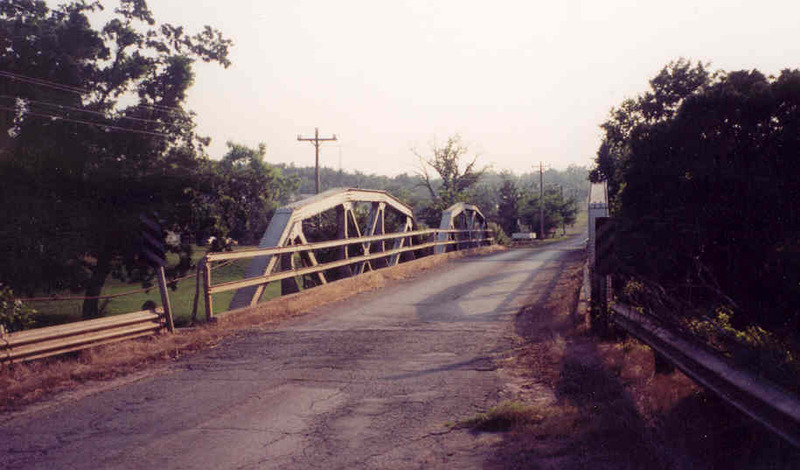 Located in Burbank on the old alignment of US 60 stands this bridge. 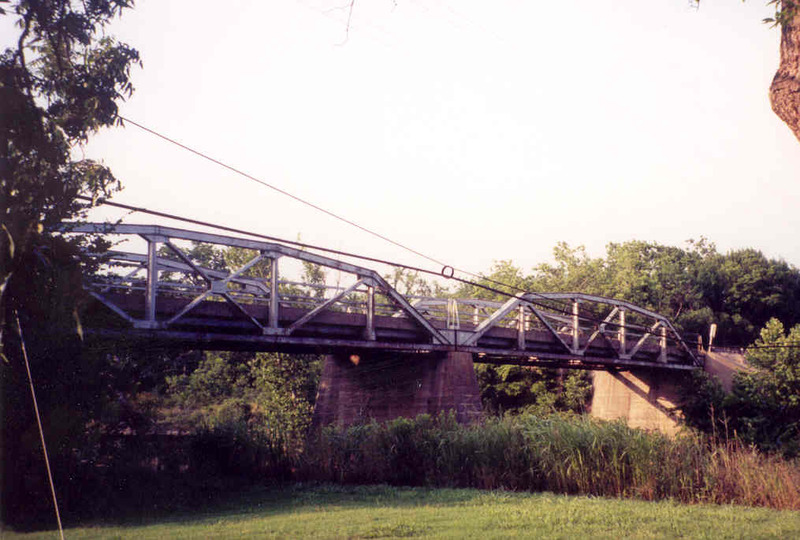 Built in 1930, the bridge consists of two state-standard 80-foot long pony truss bridges. 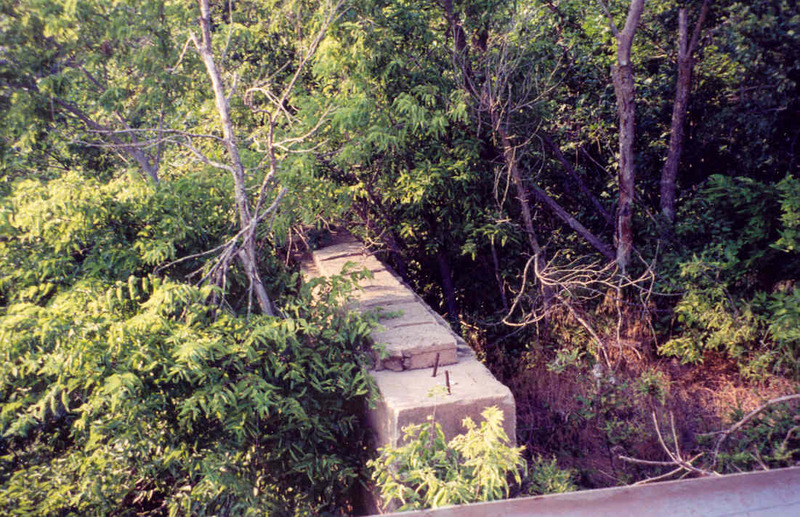 Below, this abutment is all that remains of a previous bridge that crossed Salt Creek at this location. Below, a view looking thru the bridge. Notice that the bridge is not level, but higher at the center pier. 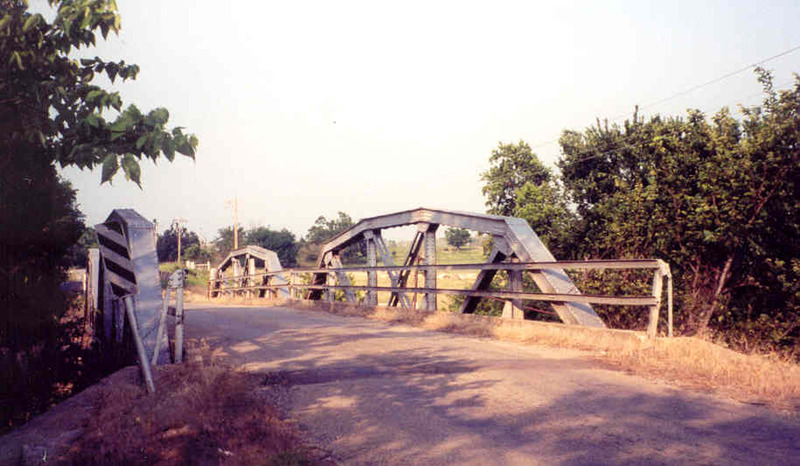 Overall, this bridge is in good condition and has its original guard rails and deck.